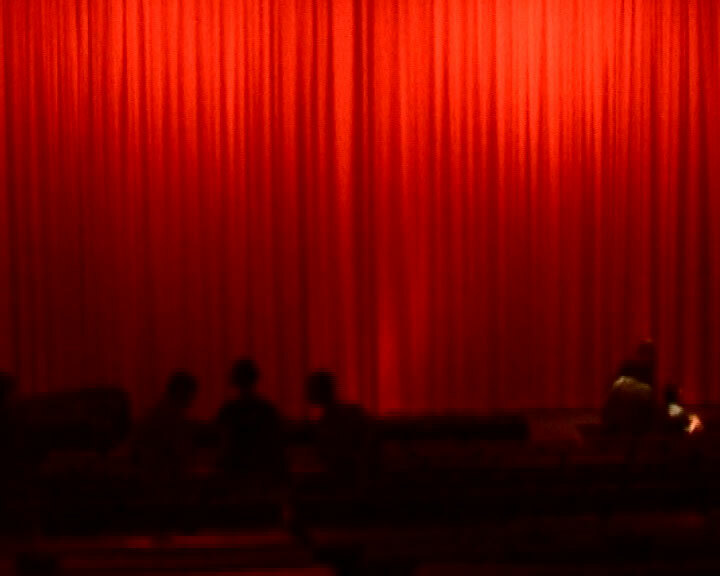 Filming inside a movie theatre evokes things forbidden: pirate copies, image theft. 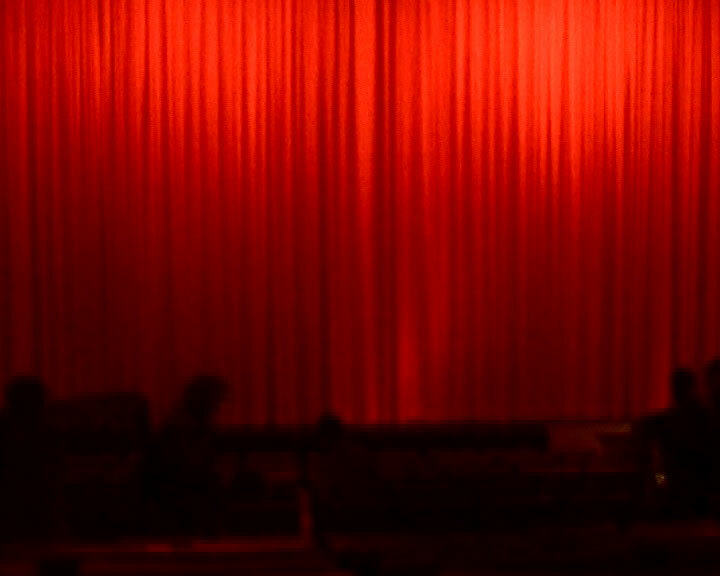 Who owns the images which we see in movie theatres? The director who produced them? 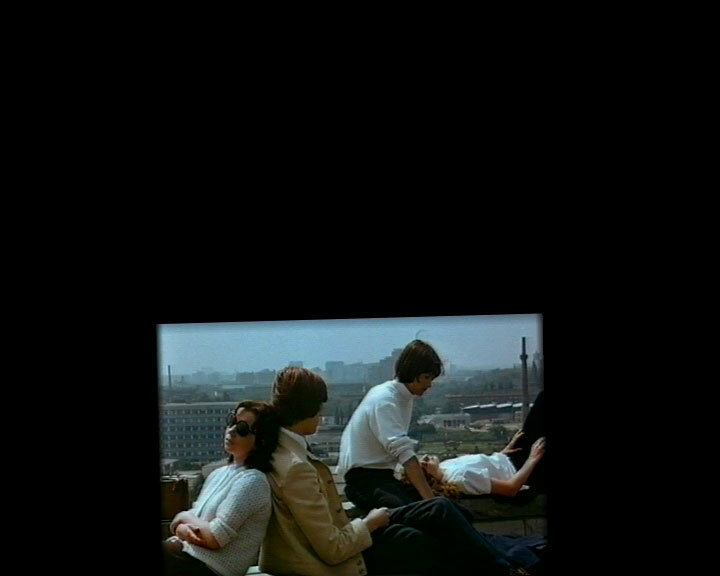 The actors who appear in them? 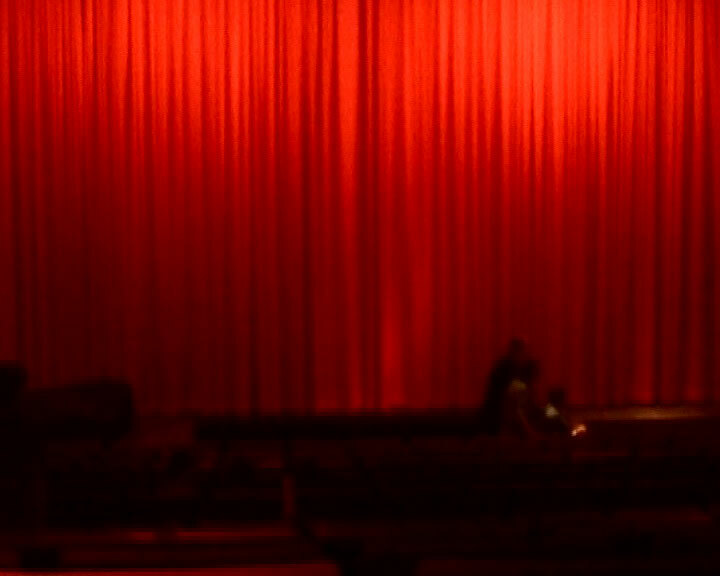 The owner of the movie theatre? Or are they, rather, the property of their beholder, sitting in the darkness of a room adorned with red velvet and taking in the flickering images on the screen? 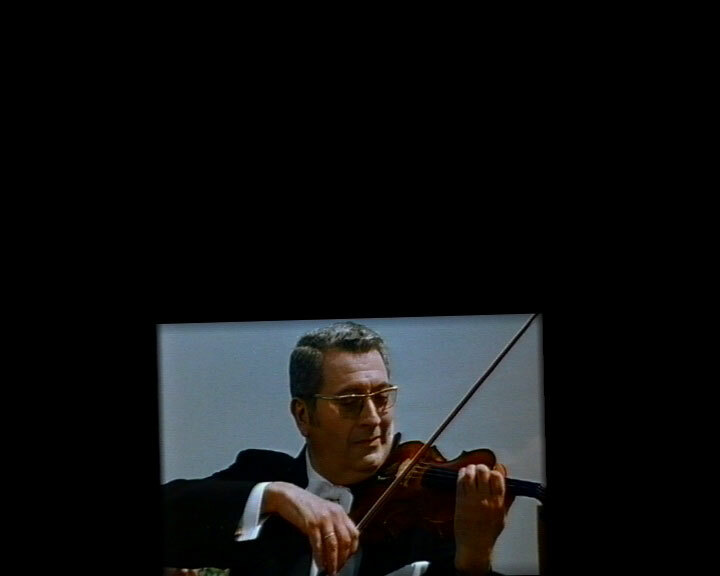 Sladjan Nedeljkovic's video sequence about a projection of Heiner Carow's "Die Legende von Paul und Paula" (GDR, 1973) at Berlin's "Arsenal" cinema tells this image-within-the-image story from an unconventional perspective. 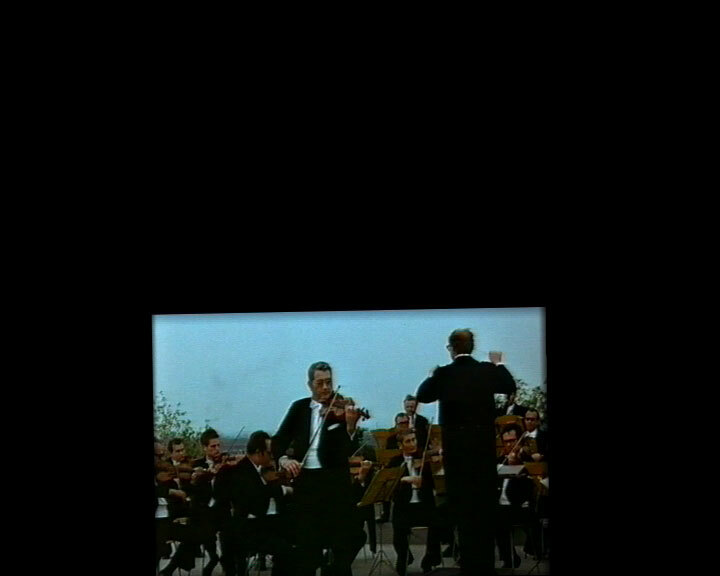 The rectangular movie screen is at an angle in the video format, the sound is faded out, except in one film scene, in which the DEFA's orchestra begins to play out in the open. 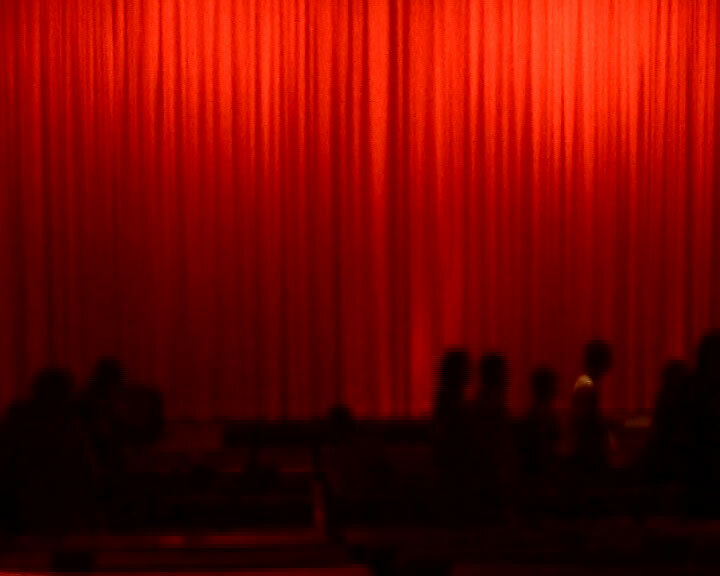 Dimly lit spectator rows are included between the filmed movie sequences. 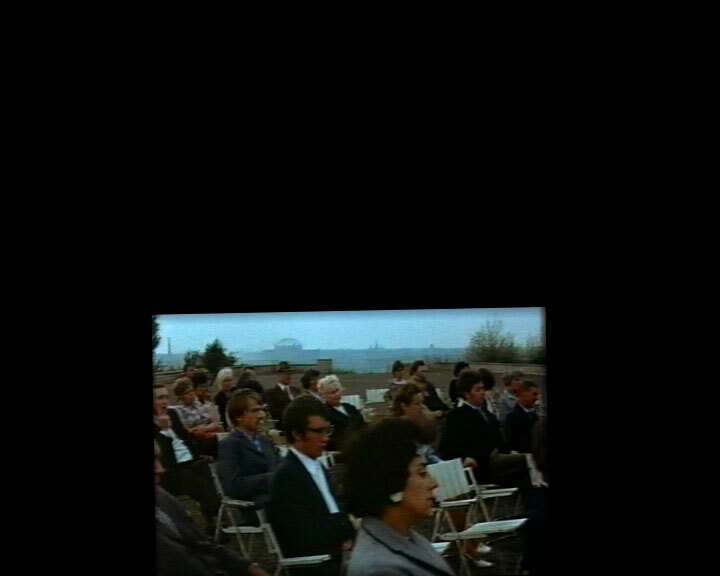 The feature film's plot remains unclear, being shown in fragments and without sound; as a result, questions and suggestions with regard to the images filmed by the artist, raised by viewers who remain voiceless and hidden in the dark, take on a greater importance.